In case you haven't already, now is a good time to start thinking about your holiday shopping! If you've got a loved one on your list that would appreciate a bottle of local liquor, let us help you out. Starting tomorrow, our liquor vendors will be able to offer you small samples of their products in order to help you decide on the perfect gift. Yes--that means you can sample alcohol at the market! 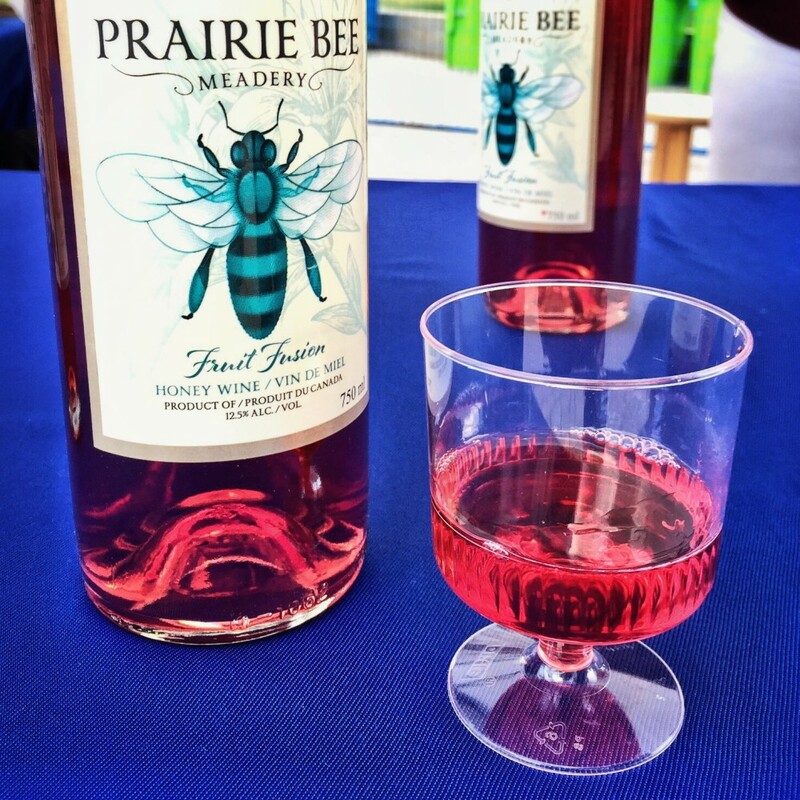 At tomorrow's market, Black Fox Farm & Distillery will be sampling each of their current products, and Prairie Bee Meadery will be sampling Traditional Bee and Cranberry Cheer. By next Saturday, we hope that all of our liquor vendors (Black Fox Farm & Distillery, Last Mountain Distillery, Living Sky Winery, Over the Hill Orchards, and Prairie Bee Meadery) will have samples available. PLEASE NOTE: Customers will be limited to a maximim of two samples from each vendor. Our liquor vendors reserve the right to refuse samples at their own discretion. Minors must be accompanied by an adult in order to enter the market when a liquor permit is in effect (Nov. 26, Dec. 3, Dec. 10, and Dec. 17. 9:00 am to 1:00 pm). One of our market t-shirts would also make a lovely gift! We partnered with Articulate Ink to have the shirts designed and printed locally. As pictured, the shirts are dark grey with orange pumpkins. They're available in sizes S - XXL. You can find them on the upper level of our indoor location, in the coat check area. The RFM Kids' Club craft this week will be holiday-themed chalk art. Kids of all ages can take a seat at the craft table on the lower level to create a glowy string of Christmas lights (pictured). RFM Kids' Club is FREE and there's a new craft every week! HOT BEVERAGES: 33 1/3 Coffee Roasters (upper level), Wheelie Good Coffee (lower level) and Cuppa' T' (both levels). FRESH PRODUCE: Frontier Gardens, J9's Tiny Farm, Miller's By-Gone Farm, and Stellar Gourmet Mushrooms. RETURNING VENDORS: Averlis Foods, Cake Witch Cafe, Hi Low Angus, J9's Tiny Farm, Latino Bake Shop, Metal Majesty, Sacred Earth Soaps, and Sadza Arts & Craft. Not all vendors are mentioned above; see the Vendor LIST for all in attendance. Refer to the Market MAP for vendor locations on the upper and lower levels (2 pages!). FYI, we're looking for volunteers to help out during our indoor season! Click HERE for more information.